SUNDAY TO FRIDAY - 10 a.m. to 5 p.m.
World Tour Plan was established in 2009 by a team of true professionals equipped with years of experiences and capacity in the tourism and hospitality industry. The fact that we are based in Bhutan gives us many advantages over a foreign-based company. The best seasons to visit Bhutan are during Spring (March, April & May) and Autumn (September, October & November). The major Bhutanese religious festivals are held during these seasons and find Spring and Autumn weather make it an ideal time for trekking in Bhutan and for traveling throughout the country enjoying great views of Himalayan mountains peaks. How to Apply For Bhutan Visa ? 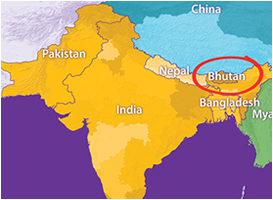 The Kingdom of Bhutan is located in the eastern end of the Himalaya Mountains and bordered to the south, east, and west by the Republic of India and to the north by the People’s Republic of China. Bhutan is also known as Druk Yul, which means “Land of Dragon” to the people of Bhutan. Get exclusive newsletters delivered right to your inbox. Copyright © 2018. World Tour Plan. All rights reserved.